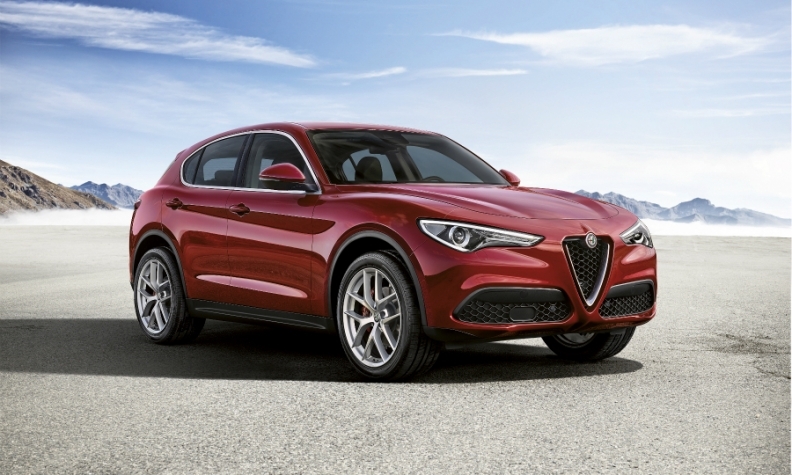 The European rollout of the Alfa Romeo Stelvio helped Fiat Chrysler. Passenger car registrations fell 6.8 percent in Europe in April as the shift of Easter from March reduced buyers' time for shopping, while vehicle sales in the UK were hit by tax changes. With at least two fewer selling days compared with a year ago, industrywide registrations dropped to 1.23 million vehicles in the EU and EFTA markets last month, industry association ACEA said on Tuesday. Volkswagen Group's sales declined by 9 percent, narrowing the 12-brand automaker's market share to 24.8 percent from 25.4 percent a year earlier. Demand at the namesake VW brand was down 14 percent while Audi sales fell 10 percent, Skoda 5.4 percent and Porsche 17 percent. Boosted by its new Ateca SUV, Seat's volume was up 15 percent. PSA Group's registrations slipped 6.7 percent with Peugeot sales down 4.2 percent, Citroen's volume down 6.2 percent and DS sales plunging 45 percent. French rival Renault's registrations dropped 2.9 percent. Ford's registrations in the region fell 12 percent, while Opel and Vauxhall, the European nameplates that General Motors is selling to PSA, posted a 13 percent plunge. Fiat Chrysler Automobiles fared better than most major rivals with sales slipping just half a percent as a 52 percent rise in Alfa Romeo's registrations following the rollout of its Stelvio SUV offset a 2 percent drop in Fiat brand sales and an 8 percent fall in Jeep volume. Download PDF, above right, for April and 4-month sales by automaker, brand and country. Toyota and Kia were the only larger brands with sales gains. Toyota brand volume was up 5.4 percent, offsetting a 5.7 decline in Lexus sales. Kia's registrations rose by 8.1 percent. Among other Asian brands Hyundai sales fell by 10 percent and Nissan's registrations were down 14 percent. The main reason European sales fell is because the region's two largest markets, Germany and the UK, saw registrations drop 8 percent and 20 percent respectively, ACEA figures showed. Among the large markets, only Spain saw sales rise, posting a 1.1 percent gain, while registrations in France and Italy fell by 6 percent and 4.6 percent, respectively. Sales plunged in the UK after a new vehicle-excise duty went into effect on April 1. That could set the stage for further drops in demand amid the fallout from Britain’s preparations to exit the European Union, including a declining pound. "Further weaker results are expected in the UK through this year, as the economy slows down, car-price rises feed through and the market eases back from a cyclically strong period,” Jonathon Poskitt, an analyst at LMC Automotive in Oxford, England, said in a report. European car deliveries rose to a nine-year high in 2016, as the market recovered from a two-decade low hit in 2013. Despite April's poor performance, sales are set to be higher again in 2017, albeit at a slower pace. Demand is likely to pick up after economic confidence in countries using the euro jumped to the highest in almost a decade in April, signaling more consumer spending in coming months. "The latest car-market results come in contrast to the solid economic news from the region," Poskitt said. "We would assume the selling rate will pick up in the next few months from the weak April result." LMC predicts western European auto sales will rise 2.4 percent in 2017, compared with a 3.7 percent gain through the first four months. Deliveries are unlikely to pass the 2007 peak anytime soon as Europeans increasingly opt for car-sharing and other alternatives to vehicle ownership.